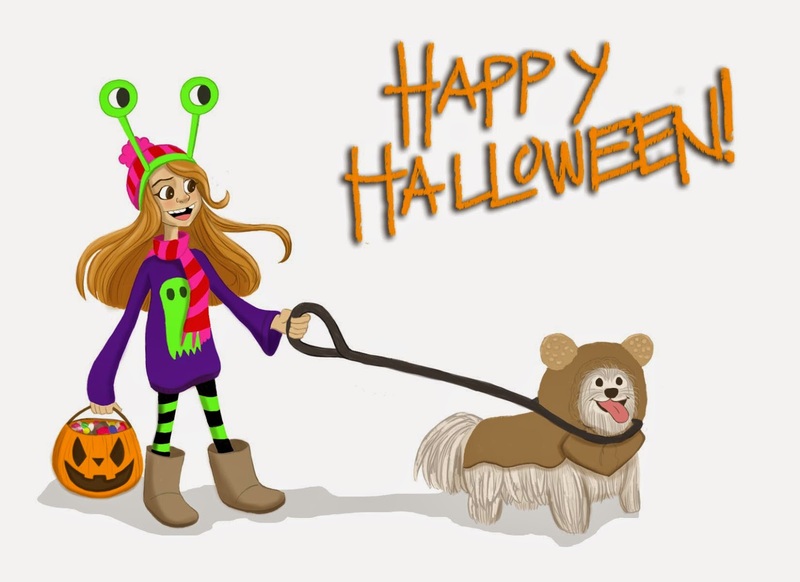 If I had a dog, I’d totally dress him up as an E-Wok for Halloween! Lol. Star Wars nerd. 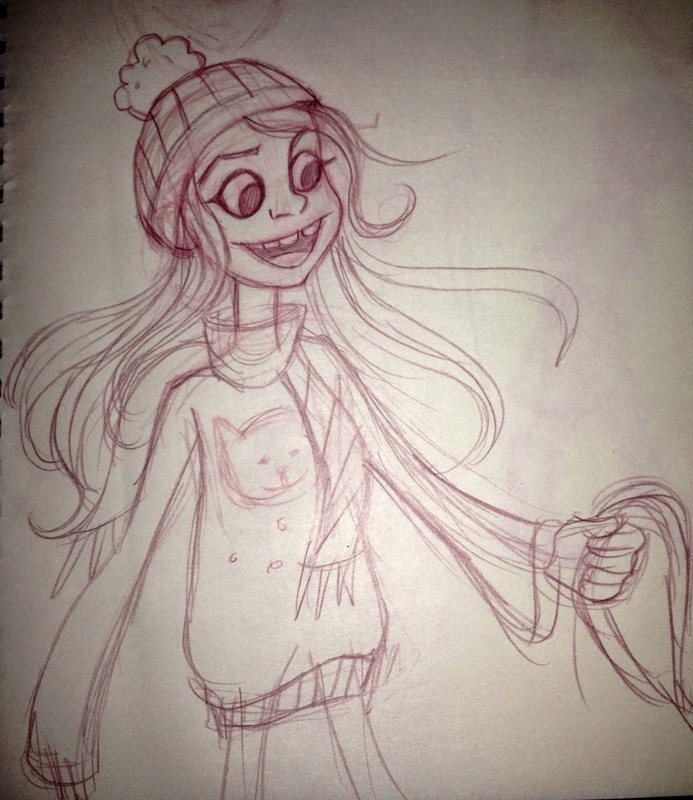 I had an idea of a little girl probably around 9 or 10 years of age wearing a mismatched outfit with an alien headband thingie. And those Ugg boots are all over California which is so funny to me. 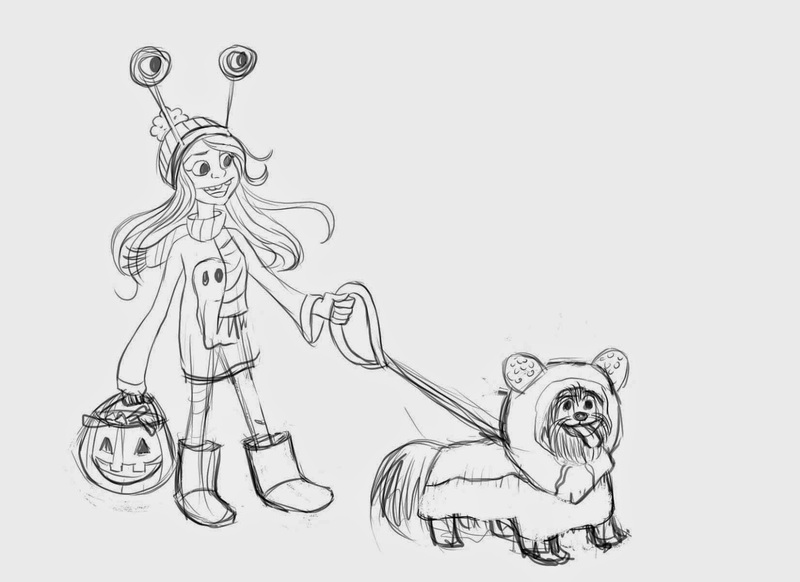 I think this sketch was inspired more by looking at dog costumes for halloween even though I don’t own a pet. Process sketches below: the very bottom is the original sketch I started off with in my sketchbook until I ran out of space and ended up snapping a photo and finishing the sketch off onto my tablet pc where I did a more finished version of the sketch. From there I painted the drawing in Photoshop and the drawing shifted slightly from the positioning of the dog.